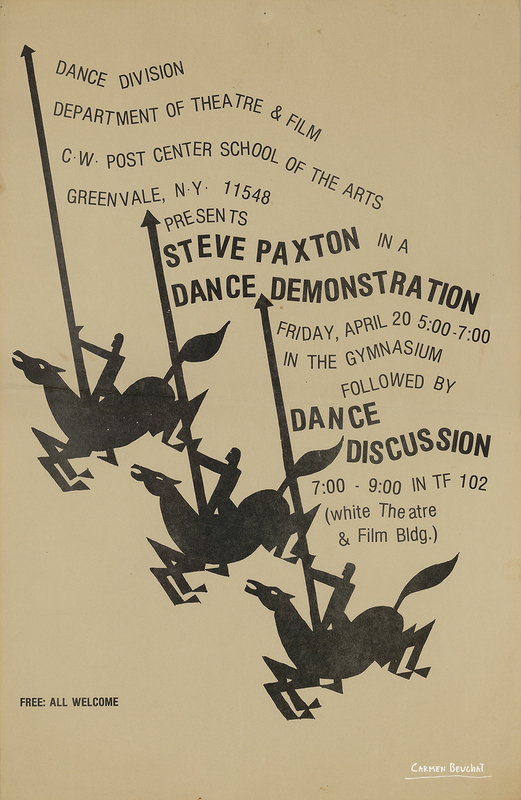 Afiche de Steve Paxton presentando “Dance Demonstation” en Dance División, Department of Theatre & Film, CW Post Center School of the Arts, Greenvale. Entrada Gratuita. Descripción Material: Afiche 28 x 43 cm.